Totally agree! I just found her blog and love her style! Just found yours too and I love it! Holy crap, she is amazing!! How have I not seen her blog before, thanks for sharing. P.S. How does she do that with her hair?! I want to be her when I grow up. oh my gosh in love with the lime green nails, all the bracelets, FUR, purple skort and wish she would send me her hand me downs! She looks like a mix between Lauren Conrad & Lily Humphrey. 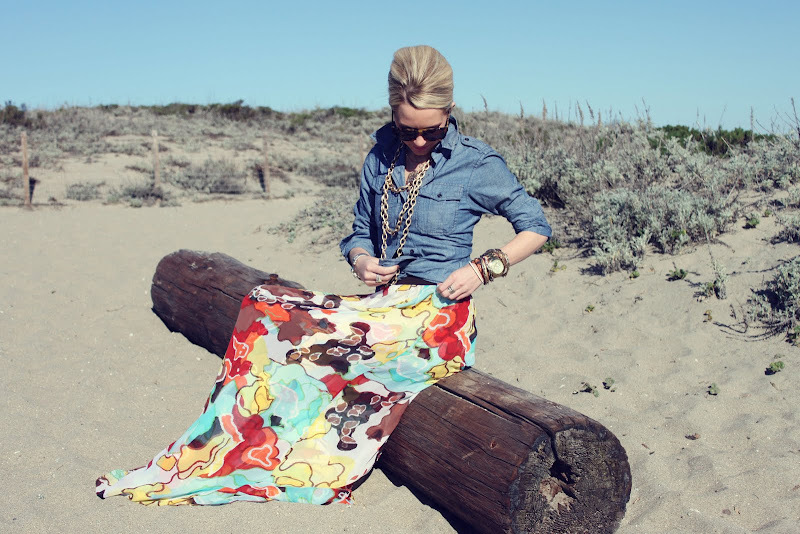 My favorite is the long, colorful skirt with the chambray shirt- I love the simplicity of it!! I love all these outfits! So beautiful!! Wow she has phenomenal style.. great job in picking her! !